Starting date: can be adjusted. The new Master program Master Informatique, parcours Intelligence Artificielle & Apprentissage Automatique (IAAA) (Artificial Intelligence & Machine Learning) will open in September 2018. A paper on "Multi-view Metric Learning in Vector-valued Kernel Spaces" got accepted at AISTATS-2018. I will give an invited talk at the "NIPS workshop on Learning on Distributions, Functions, Graphs and Groups" on December 2017. I will give an invited talk at the CMStatistics session on "Recent developments for functional data exploration " on December 2017. A paper on "M-Power Regularized Least Squares Regression" got accepted at IJCNN-2017. One paper on "Low-Rank Regression with Tensor Responses" got accepted at NIPS 2016. One paper on "Operator-valued Kernels for Learning from Functional Response Data" got accepted at JMLR. With Thierry Arthières, we are chairing the program committee of the "Conference Francophone sur l'Apprentissage Automatique" (CAp'2016), that will take place in Marseille, France, July 5-7, 2016. Since September 2012, I am an Assistant Professor in the Department of Computer Science at Aix-Marseille University. I am also a member of the Qarma (Machine Learning and Multimedia) team which is situated within the Fundamental Computer Science laboratory (Laboratoire d'Informatique Fondamentale de Marseille, a.k.a. LIF). My research interests lie principally in the fields of machine learning, statistics, and signal processing, more precisely in: kernel methods, functional data analysis, and speech and audio processing. Although I have been working and continue to work on research issues specific to each of these fields, many of my interests lie in the intersection of them, and cover both methodological as well as application aspects. From December 2009 to August 2012, I was a postdoctoral researcher in the SequeL (Sequential Learning) team at INRIA Lille - Nord Europe in France working with Philippe Preux on regularization for functional regression models: theory, sequential algorithms and applications. From November 2008 to December 2009, I was a postdoctoral fellow at the LAGIS (Laboratory of Control, Computer Science & Signal) in Lille, France. the research project that I worked on, under the supervision of Emmanuel Duflos and the collaboration of Manuel Davy, involved functional data analysis: classification and regression. 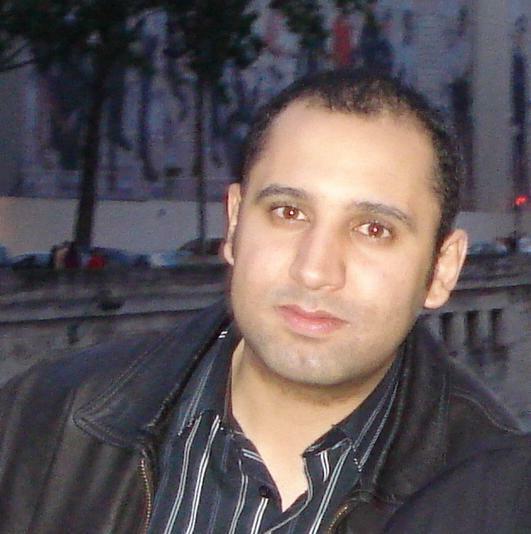 In 2008, I received my Ph.D. in Electrical Engineering from the National Engineering School of Tunis (ENIT), working with Systems and Signal Processing Lab (LSTS) and the High School of Technology and Computer Science (ESTI). My advisor was Pr. Noureddine Ellouze. My research has explored a variety of topics in statistical audio signal processing, including speaker segmentation (speaker change detection and clustering), audio classification (impulsive sounds classification), and the application of this tasks to audio content indexing and retrieval. Detailed information about my research is available on my Publications and Research Interests pages.